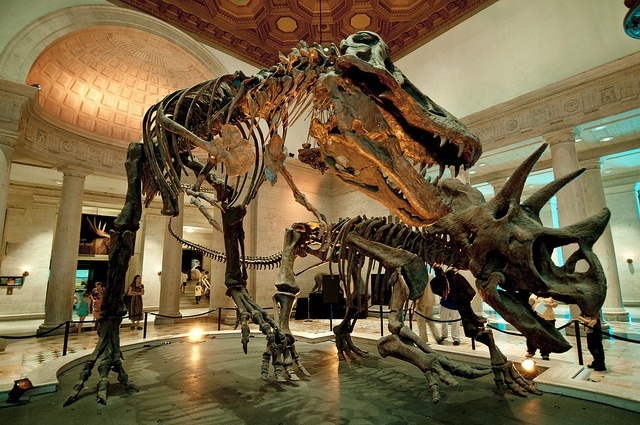 Do you hate making expensive trips to the dentist? Well the next time you’re on campus and you see a group of people in blue scrubs, do not run! They are here for you and your teeth. 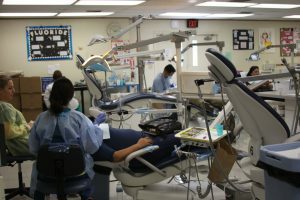 The Taft College Dental Hygiene Clinic offers FREE treatment available to students, faculty, and staff of TC. If you are not a student or faculty member don’t worry, for just $20 you can receive treatment on your teeth. The treatments that are offered are oral cancer screenings, patient education, complete cleaning, fluoride treatment, X-rays, sealants, impressions, and a new toothbrush. A standard teeth cleaning and X-rays at your local dentist office start at an average of $100. By coming into the TC Dental Hygiene Clinic you are not only saving money, but you are also helping out the students participating in the program. 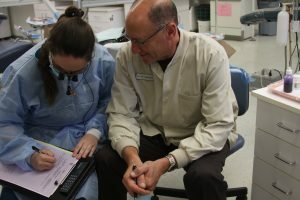 Twenty students are accepted per class and only second year students are allowed to work on patients’ teeth. About 35-85 people apply to the program per year. To get into the program you have to be selected by the selection committee. 10 are selected by GPA and recommendations. Depending on a patients needs, appointments can be up to 4 hours long. “It’s heavy on your body, but it’s worth it,” she said. This semester she is seeing two patients a week. It is the students responsibility to go out and find patients. If you want treatment you can call 661-763-7706 to make an appointment. Wind Wolves Preserve recently reopened to the public on March 4, 2017. Due to the preserve’s roads and trails that had been damaged from flooding and erosion, it was closed for a couple of months. Thanks to the many volunteers that helped repair the trails, Wind Wolves is now open daily from 8 a.m. – 5 p.m.
Go out and enjoy a wonderful hike, bike ride, or picnic with friends and family for free! 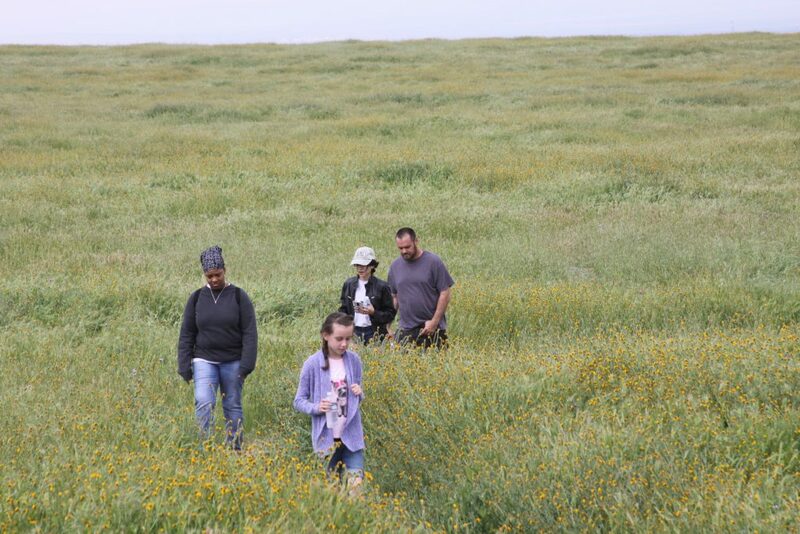 With many trails to choose from and animals to see, Wind Wolves Preserve provides a great family fun adventure. During your hike, you may encounter many animals such as Tule Elk, bobcats, kit foxes, and blunt-noses leopard lizards. 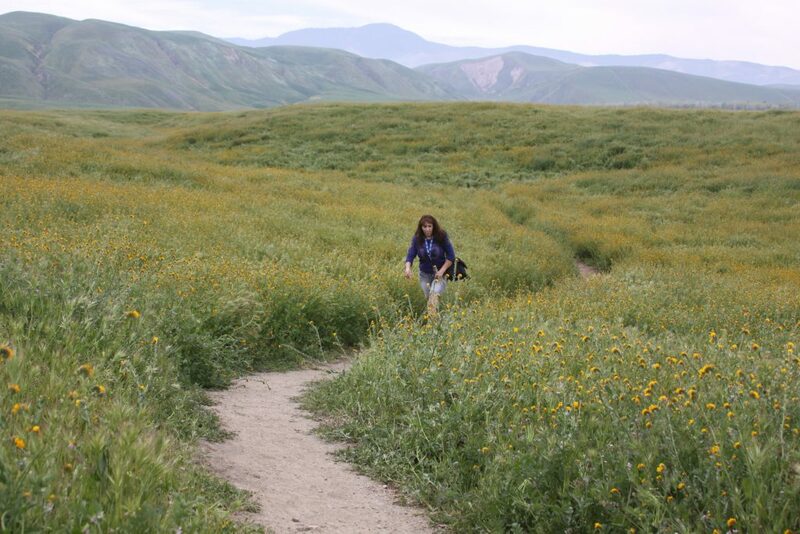 With 93,000 acres of land, Wind Wolves Preserve is California’s largest non-profit organization. People are welcome to donate any time online or through the mail. By donating today, you are helping to ensure that these lands not only stay open to the public free of charge but also to preserve these beautiful landscapes. 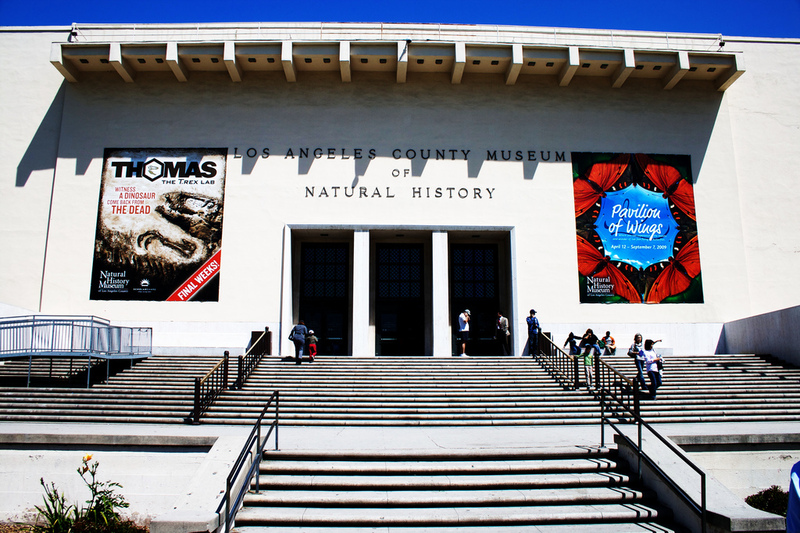 They do just that by providing free educational programs for children of all ages. Since 1998, 170,000 children have participated. 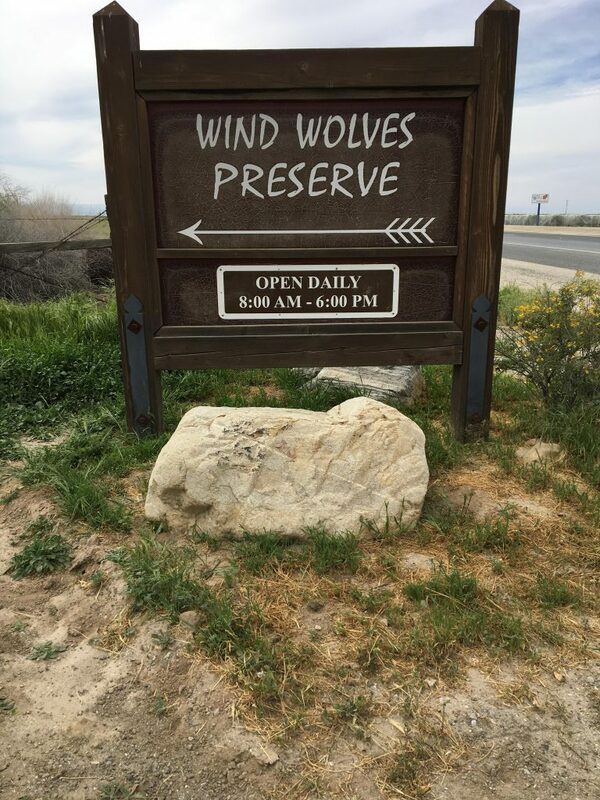 Wind Wolves Preserve is about a 25 mile drive from Taft and a 34 mile drive from Bakersfield. It is located at 10619 Maricopa Highway, Bakersfield, CA 93311. There are thousands of scholarships out there, but to be eligible, you must apply. Many resources are available at Taft College to help with your student finances. Barbara Amerio, the Director of Financial Aid and Scholarships at Taft College, has been helping and encouraging students to apply for financial aid since 2011. Prior to writing this piece, we had no idea how many scholarships were available for students like us. 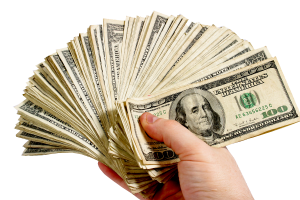 The money is out there, knowing this, we went to talk with Amerio to get an insight on what kind of help us students could be receiving. One type of federal aid available to students is the Pell Grant, however to be eligible, you must fill out a Free Application for Federal Student Aid (FAFSA),which has no deadline. However, state aid is also available in the form of a Cal Grant. Depending on your financial standings and background, there is a chance you may receive free money, but you will never know if you do not apply! Here at Taft College, getting a scholarship may be as easy as filling out a piece of paper with your information on it in the Student Service Administration Building. The Board of Governor’s fee waiver can be filled out in paper form at the Financial Aid office or online through FAFSA. It is available solely to California community college students. The deadline for the Taft College Community Scholarship Program is March 17 for the 2016- 2017 Academic Year. If you were unaware of this, you are not alone. We were not either, and at our confusion, Barbara Amerio was shocked and jokingly asked “are you living under a rock?” She reminded us that free money is out there in the form of grants and scholarships. The Taft Community Scholarship Program simultaneously allows you to apply for 30- 35 scholarships just by filling out a single application. Hurry though, your time is running out, you do not want to miss out on the chance to receive a scholarship. Taft’s first annual “Performance Circle” is hosted by Professor Brian Jean and performed by many Taft College professors, staff and students. The performances are held on the last Monday of each month. Skills vary from singing and dancing to playing instruments or performing a play. If you have a talent, come show it off! The second Monday of performances was for students. Before each student performed, they gave the audience an insight of their talent background. 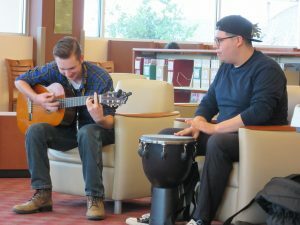 The first to perform was Joey Smith; he killed his performance with his own mash up of Spanish rhythm style on his guitar. Smith brought up that the guitar he played with was purchased at a yard sale for only $10 a couple years back. He also mentioned how he was never really interested in playing the guitar until years after he purchased it. Smith became interested in playing so he started looking up YouTube videos to learn how to string and play his guitar. Fast forward to today, he now has the ability to perform in front of an audience. Second to perform was Carlos Medina, an outstanding bongo player. Medina has been playing since he was in the fifth grade. He mentioned he first taught himself how to play drums then transitioned into playing the bongo. 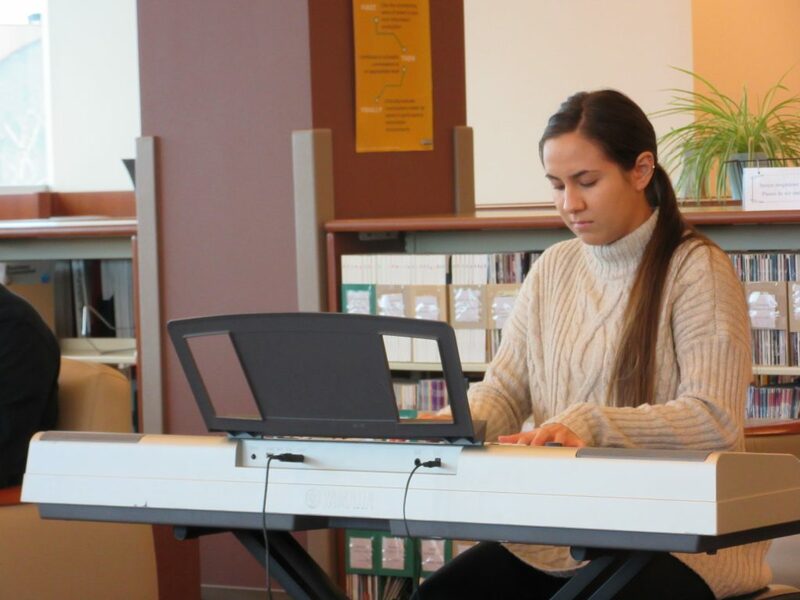 Next to perform was Emily Salazar; she gave an amazing performance playing the piano. Salazar performed a beautiful melody which was the first song she learned how to play. Following her performance was Liz Greynolds, a poet. Liz has been writing poems for three years. Last to show her talent was Samantha. 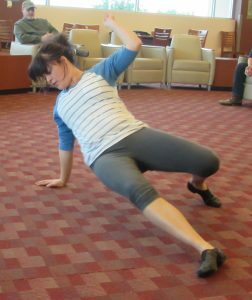 She performed a remarkably choreographed dance. Samantha said she has been dancing for 10 years and hoped everyone enjoyed her performance. “Split” is not your ordinary scary movie. There isn’t much blood or glory; instead, you find yourself scratching your head. It definitely gets you thinking about the supernatural world. The movie mainly focuses on this mysterious man Kevin that is diagnosed with not one, not two, but 23 distinctive personalities. 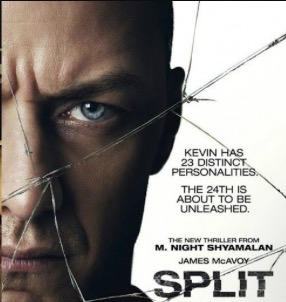 Throughout the movie Kevin (James McAvoy) frequently visits with his psychiatrist Dr. Karen Fletcher (Betty Buckley) for checkups on his status with controlling his disorder. The disorder Kevin is dealing with is called Dissociative Identity Disorder (DID). As Kevin jumps from different personalities, it is up to the three girls he kidnapped to figure out who they are dealing with. Will it be Dennis? The one who kidnapped them. Will it be Patricia? The lady who is constantly reminding Kevin what to do. Will it be Hedwig? The 9 year old boy who occasionally tells the girls too much information. Or will it be Barry? The calm, collective fashion designer. Their escape from Hell starts to seem impossible as they later find out they are dealing with something much bigger than the 23 personalities. Kevin describes this personality as the “Beast”. Who has unnatural superpowers.